"Rayan Vanlines is one the most reputable companies in New Jersey. We have been registered to provide all sorts of moving services. Our main goal is to ensure that all our clients have flawless moving service at all times. To accomplish this goal, we have invested in skilled and experienced employees. Whether you are in need of estimators, packers, supervisors, drivers, or dispatchers, our company has it all. More so, we have the necessary resources and facilities to enable us provide satisfactory local moving services. In essence, all our clients get value for any services that we offer to them. We pride in having tons of experience as long distance movers. We have offered next to none moving services to all sorts of clients; from the well known people to the unknown people in New Jersey. We actually get of our clients through referrals because of perfecting our service delivery. We also have a good technology backup to ensure that there are no delays during moving. 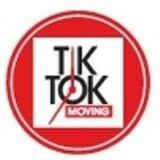 We are able to co-ordinate moving in a detailed manner through this technology coupled with our unique skills in moving. Better yet, we are well connected to various companies in New Jersey, which has given us an upper hand in meeting the needs of our highly esteemed clients. We are aware that many clients are worried about damages that may occur during relocation. As such, we have taken an insurance policy to cover all the losses that may happen when moving. We have also taken the necessary measures to ensure that we can deliver safe and secure moving services. This is inclusive of training our members of staff on handling our client’s luggage. You can trust us to help you move safely to all destinations. We also offer our clients a sneak pick of what they should expect from us. Upon a request, we are able to offer you some video samples of how we offer moving services. By the time we are in the service delivery stage, we ensure that our clients are well educated and ready for moving. This is helpful for the individuals who need to have confidence and trust in NJ moving companies before the actual moving is done. 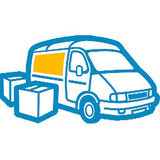 We are the first company that clients call when they require affordable moving services. Our main concern is to ensure that our clients have received quality services at a reasonable rate. Regardless of our client’s budget, we can provide excellent local moving service to clients. It is for this reason that Rayan Vanlines has been on the growth path for years. Portable Storage delivered to your home for your renovation project. We believe in providing an exceptional moving experience for less! From full service moves to small moves we have the capability to accommodate a wide array of moving requests. Our highly trained moving teams can assist you with packing, unpacking, furniture removal, and disassembly services. We continuously strive to provide a pleasant customer service experience from start to finish. We want you to know that your move is important to us! At Solid movers NYC we take extra care to make every customer completely satisfied with their move. 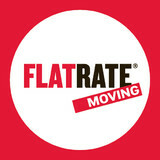 From the moment you contact us we will work with you to customize an affordable rate that fits your moving needs. We know how important your personal belongings are and that's why when the big day arrives you can be rest assured that everything will be handled with care. Relocating to a new house is stressful enough without having to worry about the logistics of an entire move. So when it comes to the heavy-lifting (literally), leave it to the professionals — professional movers, that is. Experienced Newtown, PA moving companies consist of expert movers and packers who can efficiently pack, move and assemble your Newtown belongings to ensure that you get off to a good start in your new home!